i am doing my projects in avr studio 4.12.i would like to program my avr microcontroller via avrprog(avrisp) which is there in studio 4.12. can any give me circuit diagram or hardware setup for atmel avrisp. now i am programming my controller through PONYPROG2000 programmer. 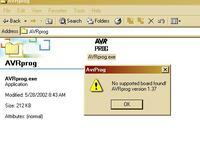 does ponyprog circuit support atmel avrprog? yes i read it before.it requires extra avr microcontroller(at90s1200) to program my target avr.my need is program the avr target controller without any controller. 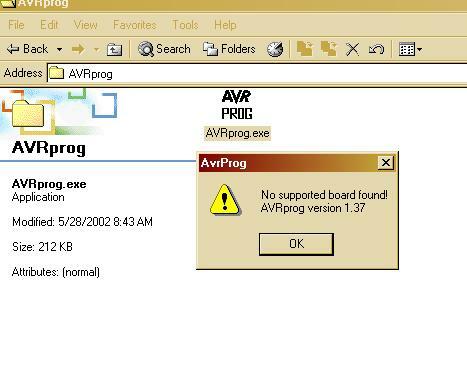 i dont know whether AVRPROG programmer requires extra controller(like at90s1200) or not. Does it require? please clarify me. GO FOR THE COMISP FROM ASIM KHAN I THINK IT IS BEST FOR YOU. I WAS CHECKED HIS ISP 3.7VR IT IS BEST FOR EVERY ONE. can you please give me the link for comisp asimkhan 3.7. i tried it in google.but i failed to get it. and i am using asim khan parallel port programmer isp version 3.7.need isp rs232 serial port. megaload is realy good to use but my need is whether ponyprog2000 supports ATMEL AVRISP(see above image icon) or not.if not please provide me supportable hardware setup or circuit diagram. and is it require extra controller to program my target AVR ic through ATMEL AVRISP programmer?